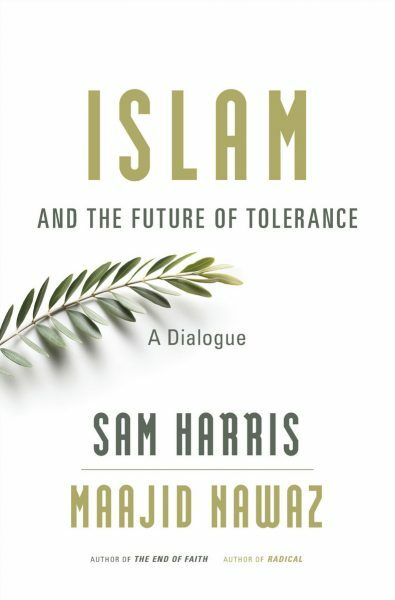 Islam and the Future of Tolerance is a book about a conversation between neuroscientist Sam Harris and British author and intellectual Maajid Nawaz. This is an important, short book which gets straight to the point: how can the world’s Muslim population of 1.6 billion be guided into a more tolerant, secular future for the peace, security and benefit of all humanity? It is a simple question which is a mine field. This book has an interesting origin story. Years ago, Harris and Nawaz met while speaking at an event. At the speakers dinner afterwards, Harris confronted Nawaz in front of an audience of dozens of dinner guests by asking him if he actually believed what he said in his speech. What resulted was a back and forth exchange between the two: Harris as a critic of all religion (and notably one of the “Four Horsemen” of New Atheism along with Richard Dawkins and Christopher Hitchens) and Nawaz as a Muslim proponent of secular society and liberal democracy. Over the last two years Sam Harris has been taking hits from all sides. Everyone from conservative religious devotees to liberal celebrities like Ben Affleck have called him a narrow-minded bigot. It seems that no matter how carefully and logically he constructs his argument for the destructive power of ideology which cannot be criticized, sensibilities will be offended. This subject is as sensitive as it is important to talk about. In this book, Harris is well matched with his co-author Maajid Nawaz, who is a reformed Islamist and member of Hizb ut-Tahrir which is still active and legal in the west. Founded in 1953 in Jerusalem, this was the first Islamic group to popularize the idea of creating a theocratic caliphate. Rather than commit terrorist attacks, the group focuses instead on recruiting and fomenting Muslim public opinion with the aim of inciting military coups on Muslim-majority countries like Egypt, Turkey and Pakistan. After being arrested, imprisoned and tortured for political crimes in Egypt, Nawaz became reformed and has subsequently become an activist who promotes tolerance and secularism within the Muslim world. "Most traditional Muslims consider Islamism an errant politicization of their religion. These people are extremely conservative in their own families and lifestyles—they do pose certain core human rights challenges—but they generally don’t want the state to impose their religion, because they want to retain the right to have their own understanding of what this religious conservatism means." "Jihadists believe in taking direct action; they have an entire theory around that. I’d argue, in fact, that the rise of the so-called Islamic State under Abu Bakr al-Baghdadi does somewhat vindicate Osama bin Laden’s strategy and his belief that making the West intervention-weary through war would lead to a power vacuum in the Middle East and that the West would abandon its support for Arab despots, which would lead to the crumbling of despotic regimes. From the ashes of that would rise an Islamic State. Bin Laden said this eleven years ago, and it’s uncanny how the Arab uprisings have turned out." "The public conversation about the connection between Islamic ideology and Muslim intolerance and violence has been stifled by political correctness. In the West, there is now a large industry of apology and obfuscation designed, it would seem, to protect Muslims from having to grapple with the kinds of facts we’ve been talking about." "The first stage in the empowerment of any minority community is the liberation of reformist voices within that community so that its members can take responsibility for themselves and overcome the first hurdle to genuine empowerment: the victimhood mentality. This is what the American civil rights movement achieved, by shifting the debate. Martin Luther King Jr. and other leaders took responsibility for their own communities and acted in a positive and empowering way, instead of constantly playing the victim card or rioting in the streets." "Critiquing Islam, critiquing any idea, is not bigotry. “Islamophobia” is a troubled and inherently unhelpful term. Yes, hatred of Muslims by neo-Nazi-style groups does exist, and it is a form of cultural intolerance, but that must never be conflated with the free-speech right to critique Islam. My view is that no idea is above scrutiny, and no people are beneath dignity. As Ali A. Rizvi points out, if I say “smoking is bad,” this does not mean that I believe all smokers to be bad people."